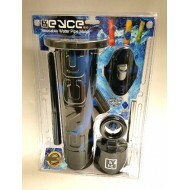 Waterpipes all sizes, colors shapes and prices! By Crush Glass at Doc's. Bubbler by Crush. Diffused downstem. Glass feet to keep it sturdy. ..
Buy Crush Glass at Doc's. Bubbler by Crush Glass Works.Available in Blue, Green or White. Made in..
Bubbler by Crush. Available in Blue, Green or White. Buy JOP at Doc's. Vintage JOP Colonel Sanderz Bubbler. Made for a righty or a lefty. ..
Buy MGW at Doc's. Black label, 9', cirq perc MGW Bubbler. 14mm pinch bowl. 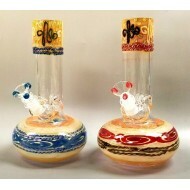 • Glassblower Owned..
Cheech and Chong's Sgt. 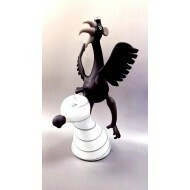 Stedenko Water Pipe by Famous Brandz. 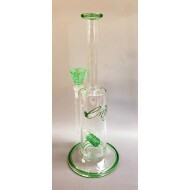 14 mm with Shower Head Diffused Stem. ..
Cheech and Chong water pipe Sgt. Stedenko. 8"
Clyde Double Bubbler by Cheech and Chong. Fun Double Bubbler that packs a punch. Docs Smokeshop. ..
Cheech and Chong, Clyde Bubbler. 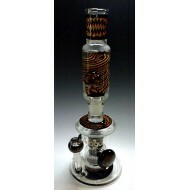 .25"
Envy Stemline Pop rocks Design with Frit Perc. Envy is based and made in California using Boro Shott.. Envy Stemline Pop rocks Design with Frit Perc. Available in Green or Red. This Fathead piece is amazing! FatHead has been turning out gems like this one for 2 decades now.&nb..